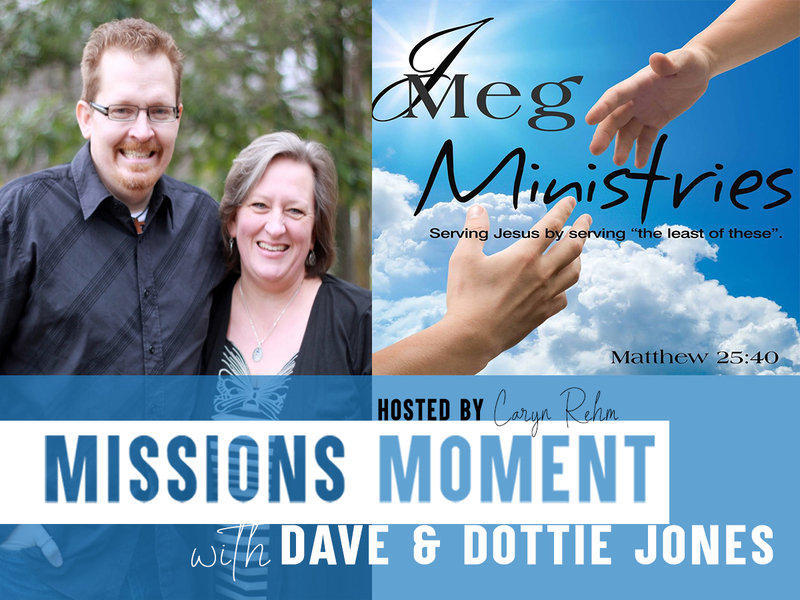 Featuring WGRC’s Dave & Dottie Jones of JMeg Ministries. JMeg Ministries seeks to share the love of Jesus through the ministries of service and missions. Founded in November 2012, JMeg is the result of God’s call on Dave and Dottie Jones. Seeking to take the church outside its walls, and reach out to “the least of these”, Dave and Dottie have stepped out in faith to share the love of Jesus.